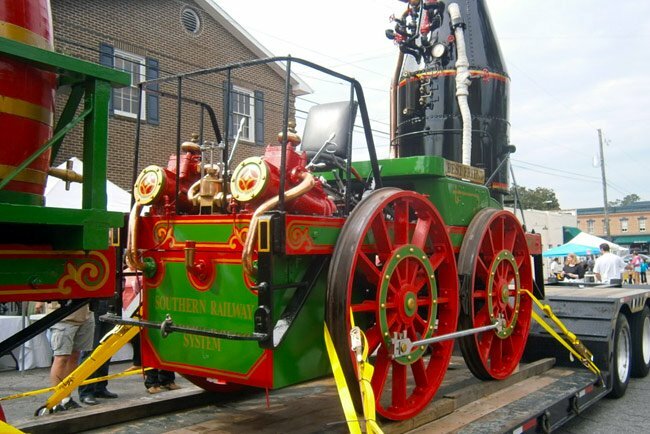 In the fall of 2013, a replica of an 1830 steam locomotive called the Best Friend of Charleston arrived at its new home behind the Charleston Visitor Center. This photo captures the locomotive as it made a stop in Summerville along its journey from its former post in Atlanta. The replica was built in the 1920s to commemorate the 100th anniversary of the charter of the South Carolina Canal and Rail Road Company in 1827. The original steam engine was built in New York in 1830 and ran its inaugural trip on Christmas Day of that year. The one hundred and forty-one persons flew on the wings of wind at the speed of fifteen to twenty-five miles per hour, annihilating time and space … leaving all the world behind. On the return we reached Sans-Souci in quick and double quick time, stopped to take up a recruiting party – darted forth like a live rocket, scattering sparks and flames on either side – passed over three salt creeks hop, step and jump, and landed us all safe at the Lines before any of us had time to determine whether or not it was prudent to be scared. The success of the train was widely-touted, and the Best Friend of Charleston became the first steam locomotive to provide passenger service in the United States. Unfortunately, the Best Friend soon met its end when on July 17, 1831, a fireman aboard the locomotive who was inexperienced with steam engines closed the valve in an attempt to eliminate the whistling sound made by the train releasing steam. The train exploded as a result, killing the fireman and destroying the locomotive. 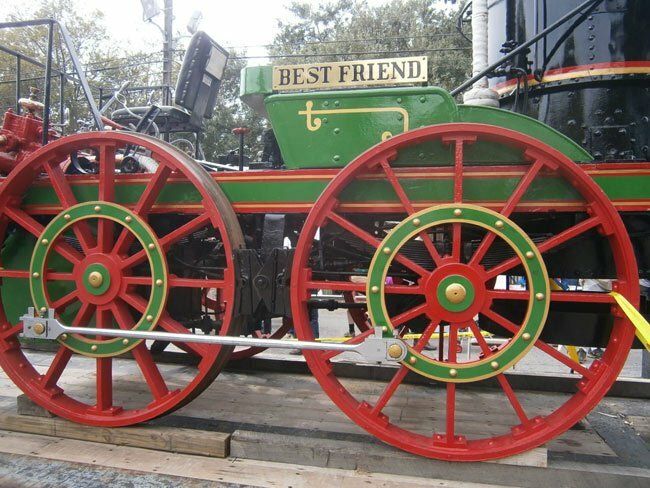 While other steam engines were making regular trips up and down the tracks by this time, the Best Friend was considered the pioneer of steam locomotives.